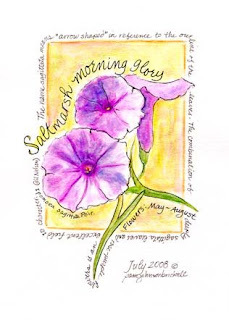 Back to purple :) These morning glories were so lovely I decided to create a journal page just for them. Gil Nelson's book 'Atlantic Coastal Plain Wildflowers helped me make the correct ID. I wrote his comments along the outer edge of the illustration. Thanks, Gil!